Notification of the passing of Air Force veteran and former DL pilot John ‘Jack’ Higgins III , age near 67. 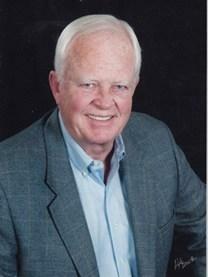 JOHN HIGGINS III John "Jack" Higgins III, 66, entrepreneur, loving husband, father, grandfather, and cancer survivor, of Henderson, passed away Tuesday, March 6, 2012. Jack served in the U.S. Air force, a captain For Delta Airlines, brokered jet airplanes, and owned ORIX Global, a successful telecommunications company in Las Vegas, before becoming a consultant and financier. Jack is survived by his loving partner, Debra Kalman; mother, Naomi; brothers, Michael and Bill; sisters, Kathryn and Christine; children, Jason, Eden, Travis, Lacey, Chance, Chase and Cole; and grandchildren, Riley, Skye, Isla, and Stormy; and unborn grandson. Visitation will be 5-7 p.m. Sunday, March 11. Services will be at 3 p.m. Monday, March 12, both at Palm Mortuary, 7600 S. Eastern Ave. He will be greatly missed by all who knew him.